For the purposes of this Privacy Notice any references to Silven recruitment Ltd (or “us” or “we” or “our”) means Silven recruitment Ltd.
A cookie is a small text file that is placed on your computer, smartphone or tablet by websites that you visit. They are widely used to make websites work, or work more efficiently, as well as to provide information to the owners of the site. Cookies are used by nearly all websites and do not harm your system. Cookies allow websites to recognise a user’s device and store some information about the user’s preferences or past actions. A cookie will typically contain the name of the domain from which the cookie has come, the “lifetime” of the cookie, and a randomly generated unique number or other value. Session cookies are temporary cookies that are stored on your computer during your web session and are automatically deleted when you close your browser. Session cookies typically store an anonymous session ID allowing you to browse a website without having to log in to each page. They do not collect any information from your computer. Persistent cookies are stored on your computer and remain there after you close your browser. Persistent cookies remain on your computer for the period specified by the “lifetime” of the cookie. These cookies can only be read by the website that created it when that website is visited again. These are cookies that are essential to enable you to use the website effectively, such as logging in to your profile, and therefore cannot be turned off. Without these cookies, the functionality and services available to you on our website would not be possible. These cookies do not gather information about you that could be used for marketing or remembering where you have been on the internet. These are cookies that enable us to monitor and improve the performance of our website. They allow us to count visits, identify traffic sources and see which sections of the website are most popular. There are cookies that allow our website to remember choices that you have made (e.g. your username) and provide enhanced features. The information stored by these cookies is usually anonymised. These are persistent cookies that allow us to personalise your browsing experience of our website. 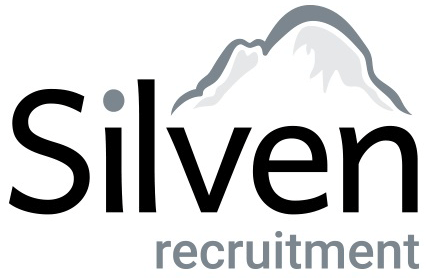 The following cookie table lists a selection of the third-party cookies used on Silven recruitment Ltd website. Although we may update this list periodically, please be advised that the names of cookies, pixels and other technologies are subject to change. Description: Used to register and report a visitor’s actions after viewing or clicking an advertiser’s ad. Description: Secure browser ID cookie. Description: Used for the LinkedIn follow feature. Description: Used to store a session identifier to monitor session counts. For more details of how to manage cookies on your browser select it from the list below. If your browser is not listed below visit the developer’s website.